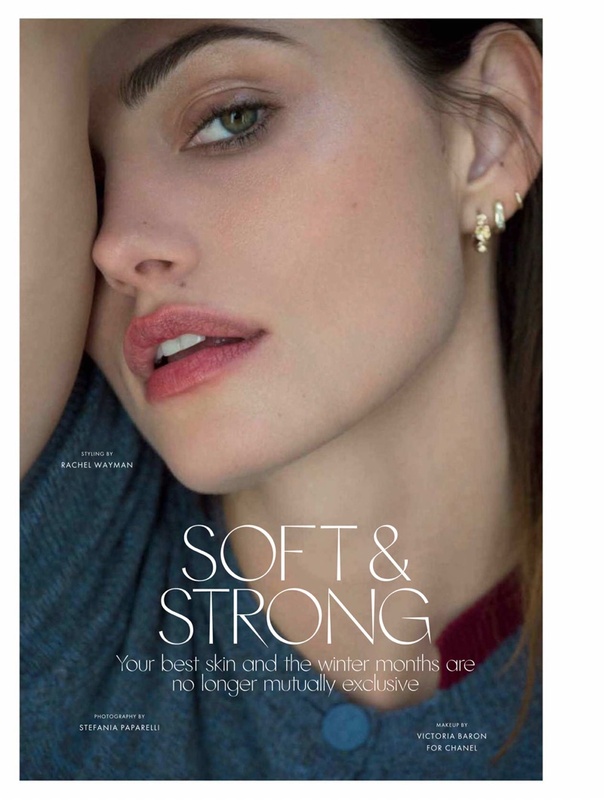 Actress Phoebe Tonkin embraces soft knitwear for the June-July 2018 issue of ELLE Australia. Photographed by Stefania Paparelli, the brunette beauty poses in sweaters and tops from Barrie. Stylist Rachel Wayman selects an eclectic color palette including red, yellow, blue and pink. For beauty, Phoebe wears a natural makeup look by Victoria Baron with hair by Leslie Thibaud.